Home > Cosmetology & Barbering Blog > Is Cosmetology School Hard? 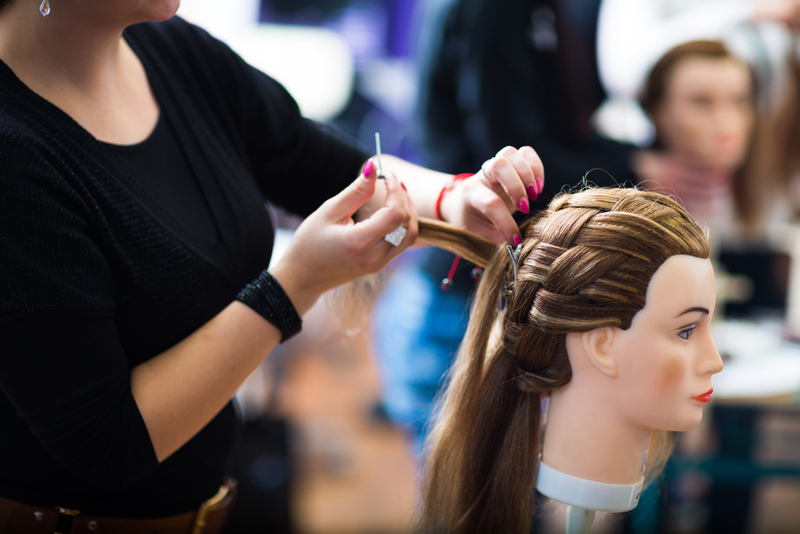 Cosmetology school may be different from high school or an academic school, but it can still be challenging for students. Beauty schools are very hands-on learning environments, so people who struggled with typical high school courses may find cosmetology school to be easier. 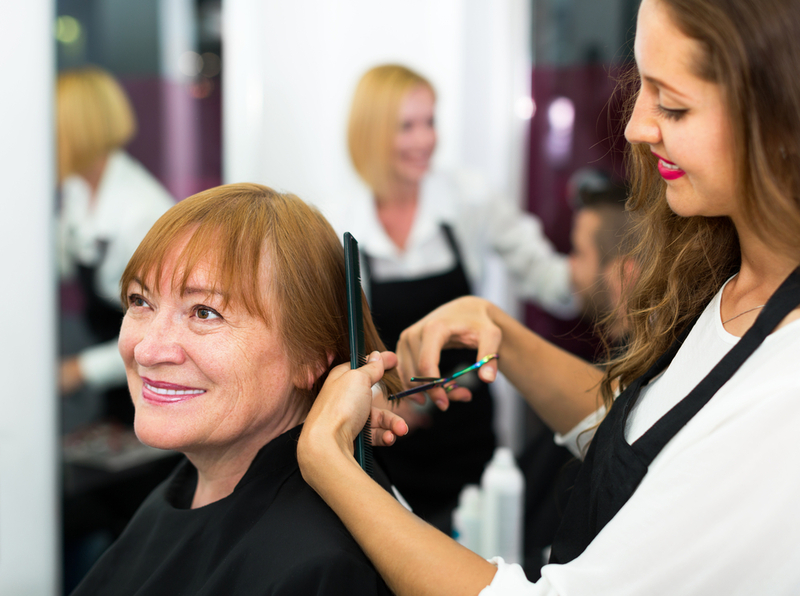 Becoming a licensed cosmetologist also requires you to pass the state licensing exam, so students who struggle with taking tests may need additional help to be successful. Not to worry, regardless of your personality and learning style, beauty schools are there to support you and help you learn! Like many other classes you may have taken, cosmetology school programs begin in a classroom with a teacher and textbooks. You need to have that basic foundation of understanding before you can start practicing services for yourself. Every school teaches classes differently, but most of them are aware that cosmetology school is full of all types of learners, so they strive to incorporate different teaching styles to help every student understand what they’re learning! In many ways, cosmetology school is like your chemistry or biology labs in high school. When you first start the program, you spend more time in lectures and in a classroom setting to learn the basics like safety, sanitation procedures, and technique. Once you’ve learned your basic foundation, you then start doing more hands-on learning where you actually practice using the different products and tools you learned about. It’s very similar to high school science labs because you learn about a subject and then get to practice the principle for yourself! Most beauty school programs want to provide practical knowledge, which means you’ll spend a lot of time on the salon floor! Cosmetology is best learned through practice, so that’s why students are on the service floor for so much of their education. Not only can you solidify the knowledge you got in the classroom, you can also build your confidence working in a salon or spa environment while you’re in school. This experience can also help you pick up different soft skills such as customer service, finances, and much more! The clients you work with as a student stylist can also persist with you after graduation, so you’re able to build a network of your own before you even graduate. This can help you to know what services your clients prefer and how to best serve them, giving you a head start as a professional cosmetologist! Yes, we know tests can be stressful for many people, so that’s why good beauty schools focus on test preparation from the very beginning! The licensing exams for programs like cosmetology, esthetics, or nail technician vary state by state, so most schools strive to prepare their students early on. Once students have completed their program hours and graduated from beauty school, they’re eligible to take the licensing exam. In Oklahoma state, your exam can include both written and practical elements, which is helpful for people who get test anxiety over traditional testing because it isn’t just a written test. Most cosmetology schools offer tutoring, review sessions, and more to help their students succeed, so be sure to ask how your school can support you! At Elite Academy, we invest in our students and their success. We believe they can accomplish great things! This is why we strive to provide them the best education possible to help them prepare to be successful beauty professionals. Contact us to learn more about our cosmetology, barbering, esthetics, and nail technician programs. To learn more about the incredible woman who works hard to make our school a good learning environment, visit our blog post about our owner Tammy Graham!